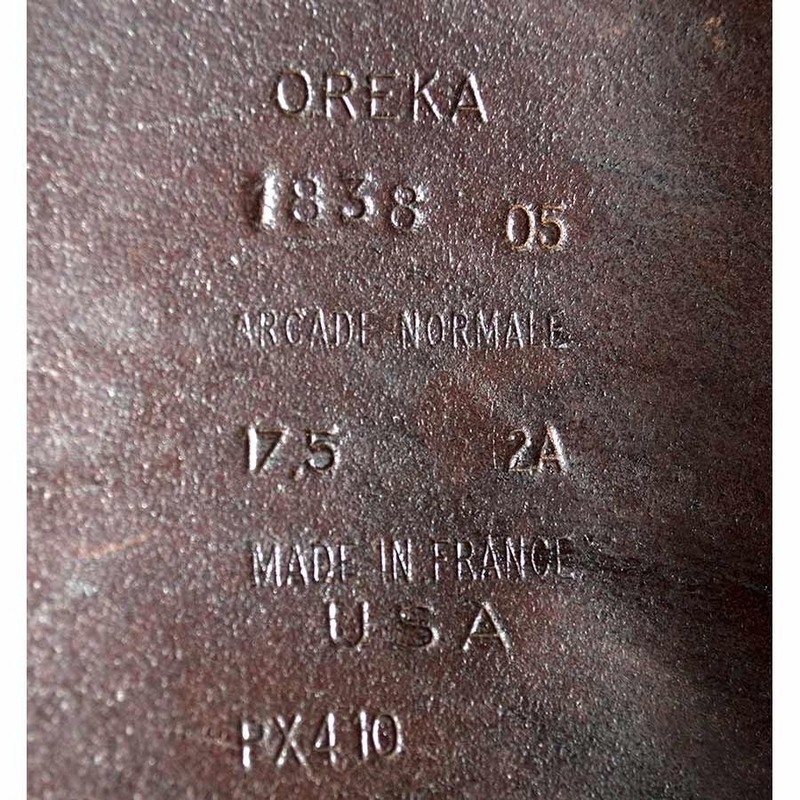 17 1/2 IN 2005 Devoucoux Oreka in good working condition. 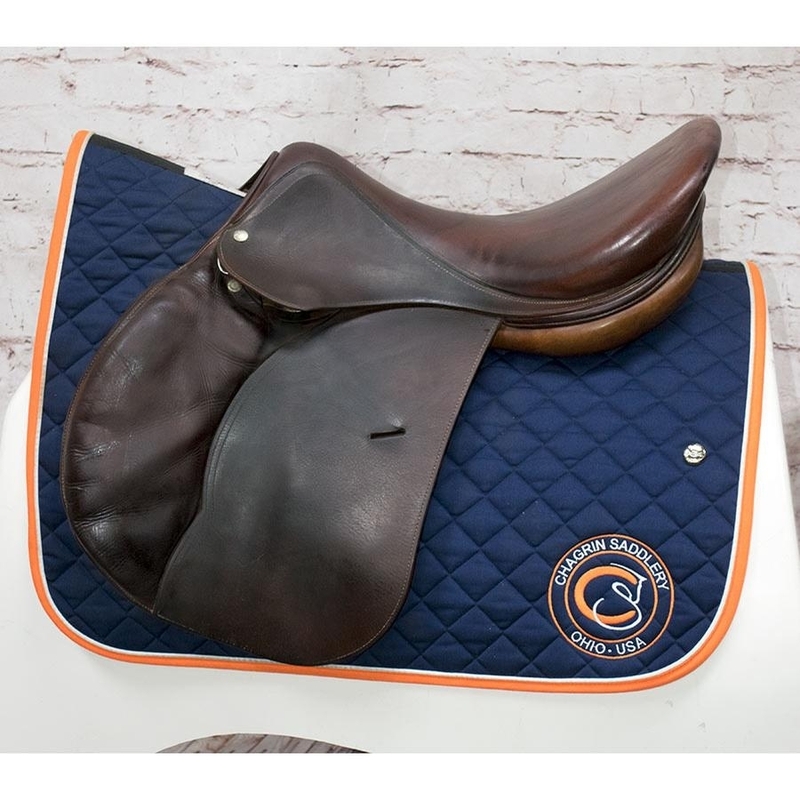 This top of the line saddle is crafted of premium French leather and is priced to sell! 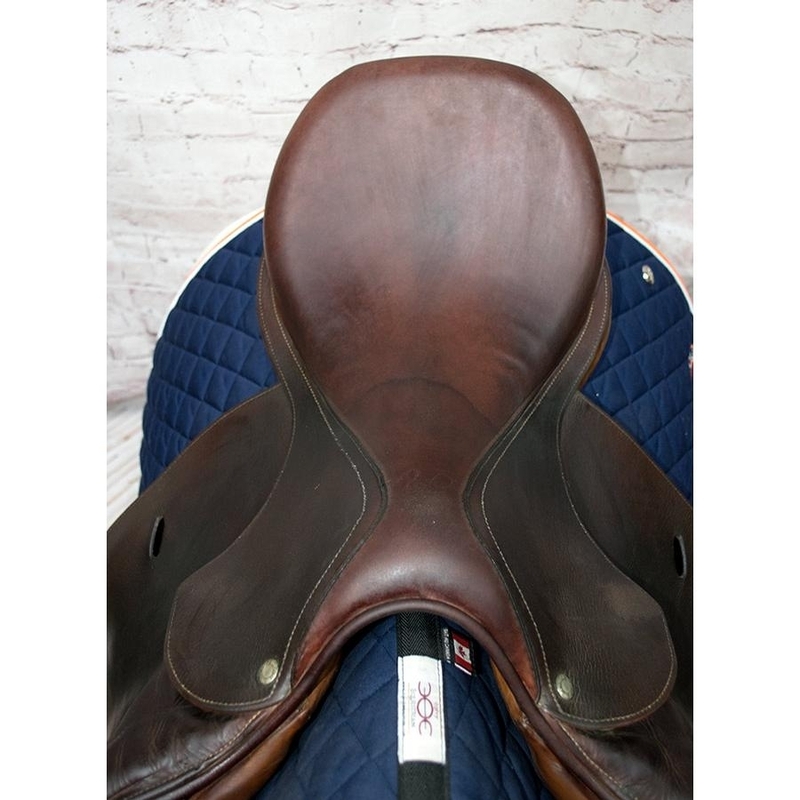 This saddle features regular length, forward set flaps (2A) with knee and thigh blocks. 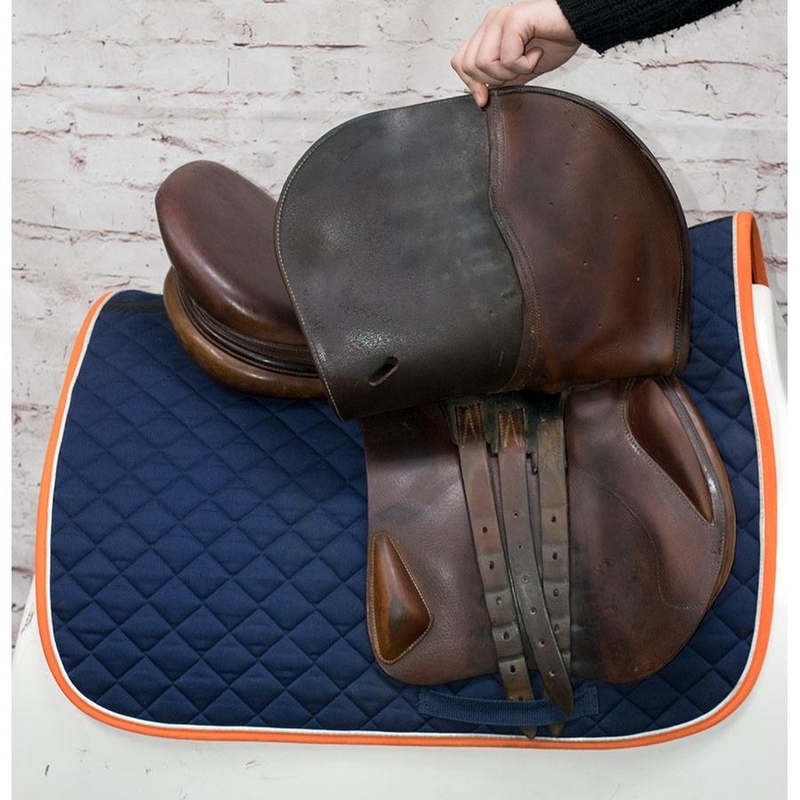 The seat is deep with a narrow twist. 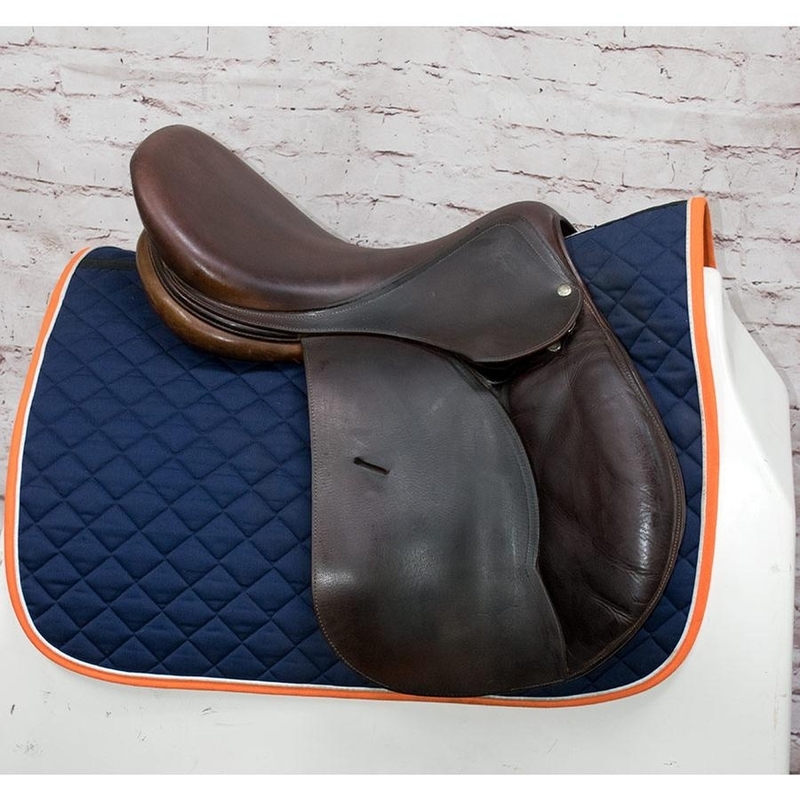 The tree measures medium-wide with integrated panels for improved saddle fit and less bulk between horse and rider. 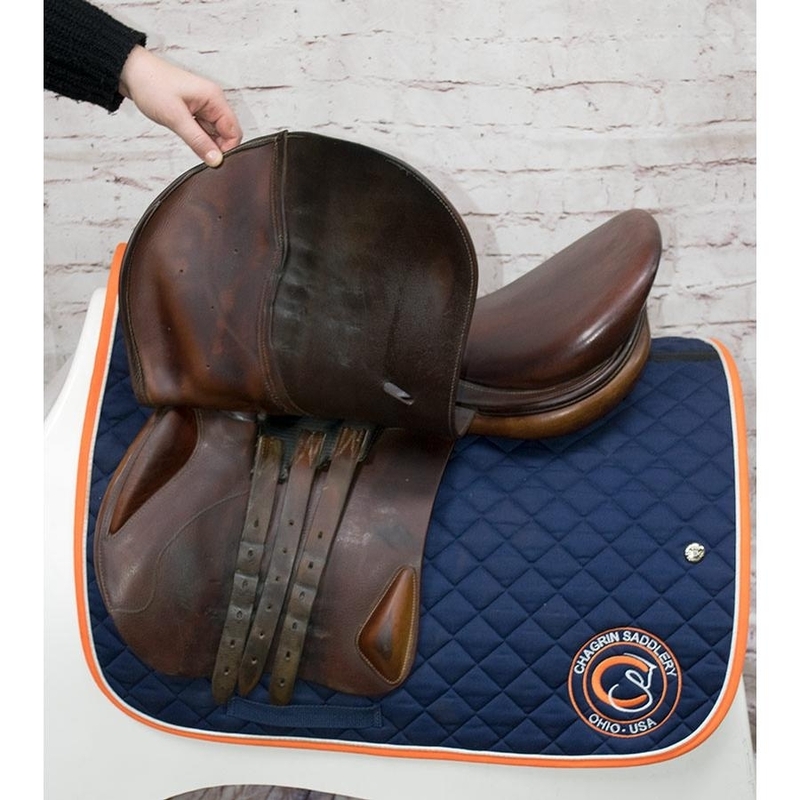 There is some water spotting on the panels, discoloration on the seat, and cracking along the flap bottoms typical with use. 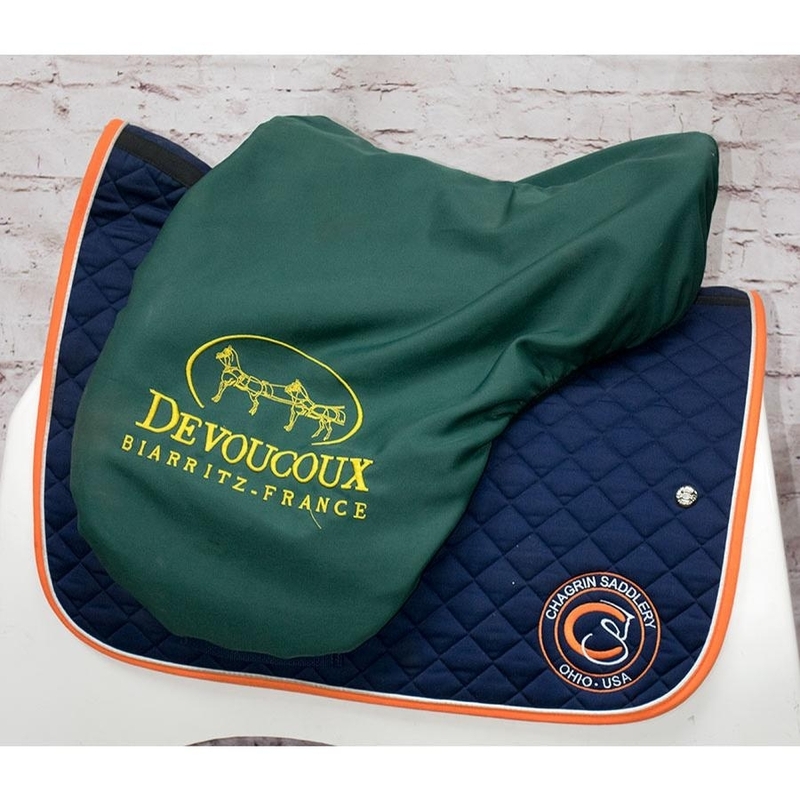 This saddle is sold with matching a Devoucoux fleece lined saddle cover.